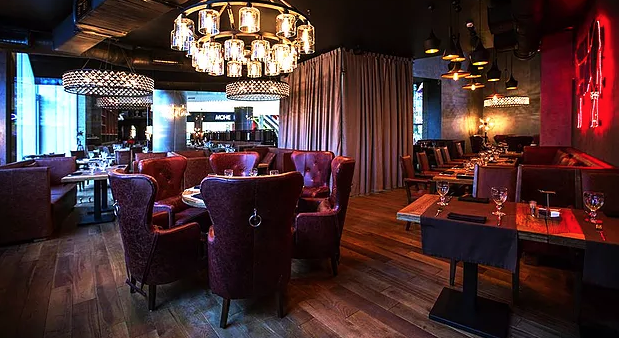 One of the top Moscow restaurateurs refused police demands for bribe. That looks like a seemingly minor event. But in the contemporary Russia it became one of the biggest sensations of January, 2018. Sergei Mironov is the owner of restaurant chain “Meat & Fish”and the head of the restaurant business consultant agency “RestConsult”. Mironov (43) graduated from the Academy of Labor and Social Relations. He has been in the restaurant business since 1996. Initially he worked as a bartender, later as a manager for famous clubs and restaurants in Moscow. Mironov is a member of the Public Expert Council under the Department of Trade and Services of Moscow, a member of the Federation of Restaurateurs and Hoteliers of Russia, a teacher at the Russian Academy of National Economy and Public Service under the President of the Russian Federation, the author of books “How to Rescue a Restaurant from a Severe Crisis” and “Guest pays twice” and a columnist of the “Restaurant News” magazine. He is a constant participant of exhibitions and conferences on restaurant subjects, as well as a guest on TV and radio programs. Mironov is known for his innovations. For example, he fed bloggers for two months in his restaurants in exchange for their favorable posts. As a result, the revenue of the Meat & Fish restaurants, where the experiment was conducted, grew by 60%. Mironov also advertises his patriotism: In his restaurants he doesn’t use food exported from foreign countries, as do most of other Russian restaurateurs. He uses only food produced in Russia. His goal is to offer the highest quality and freshest locally sourced ingredients by looking continually ahead for new and creative food trends. A year ago Mironov opened a new “Meat & Fish” Restaurant in Kuntsevo, a Moscow region located far away from the city center. 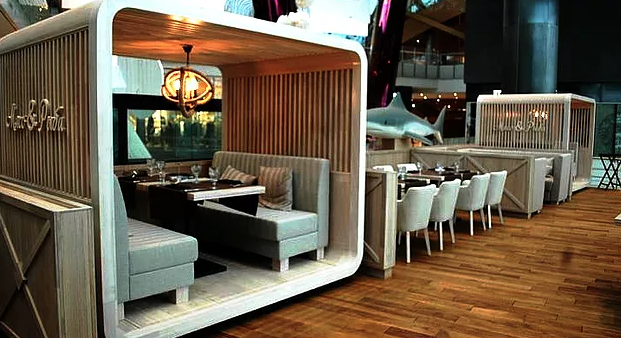 This restaurant, located on the second floor of Kuntsevo-plaza, focus on what they do best: steaks from domestic beef and fresh fish and seafood from Kamchatka, Yakutia and Murmansk. In addition to beef, the menu offers pork and mutton. Meat & Fish restaurant in Kuntsevo. On Friday, January 12, at 13:30, in the midst of business lunch time, an inspection from the Kuntsevo district police came to the Meat and Fish restaurant. They checked the documents of the employees. Such inspections are customary in Russia. Police try to locate illegal immigrants. All the employees of Mironov presented their proper documents. Nevertheless policemen took barmen, cooks and other workers from the kitchen to the police precinct for further document verification. Policemen said that they need to compare all documents with the police database. This action completely stopped the work of the restaurant on a Friday, at the peak of business hours. Policemen didn’t pay attention to the protest from the manager that the restaurant is full of patrons, that it will not be able to serve food, will suffer terrible losses, and will have dissatisfied customers. The restaurant personnel officer followed the employees to the police station to appeal once more to common sense and show that restaurant personnel do not have any violations of the law. Only after an hour of waiting in the precinct’s lobby did the personnel officer managed to get into the office of the head of the Police station. His reply to her reasonable questions of what is going on and what was the basis for the police officers to interrupt the work of the enterprise, taking out all the personnel, was: “Sit down in the corridor”. The personnel officer, calmly and without agitation, asked that the restaurant staff be allowed to return, and that she would remain for checking all the documents with the police . The police chief dismissed her. Later she learned that the police station doesn’t even have a database to compare documents of the restaurant’s employees. After a while, the Deputy Chief, Major Kasimov approached the personnel officer at the corridor and summoned her to his office for a conversation. There he said with the tone of tangible superiority: “We need three discount cards of your restaurant with 50% off the cost.” In return, he promised to stop checking and immediately release all employees. The personnel officer immediately contacted Mironov . Mironov told her to explain to the policeman that his demand was actually a criminal offense. As an attempt at compromise, Mironov suggested the offer to police of standard discount cards not 50%, but much less. She did so. Policeman explained: “You know, this is a gift from us to some very important people, so we kindly ask, or else”. Major Kasimov threatened the restaurant’s personnel officer by telling her he had identified false documents in possession of her employees and that it is better to meet halfway, since the fines for these violations are simply insane. In reality, not a single false permit was found. As a result, the police released the restaurant workers only at 8:00 pm . Mironov’s action in response to the action of the police was very unexpected and absolutely unique. He published the story, described above, on his FaceBook page, asking everybody who read it to re-publish the post. In a very short time thousands of people did re-published it. The uniquely brave behavior of the Moscow restaurateur became a Russian national sensation. The next day his restaurants were full of people who were coming to demonstrate their solidarity with Mironov. The profits of his restaurants keep growing and he plans to open several more. 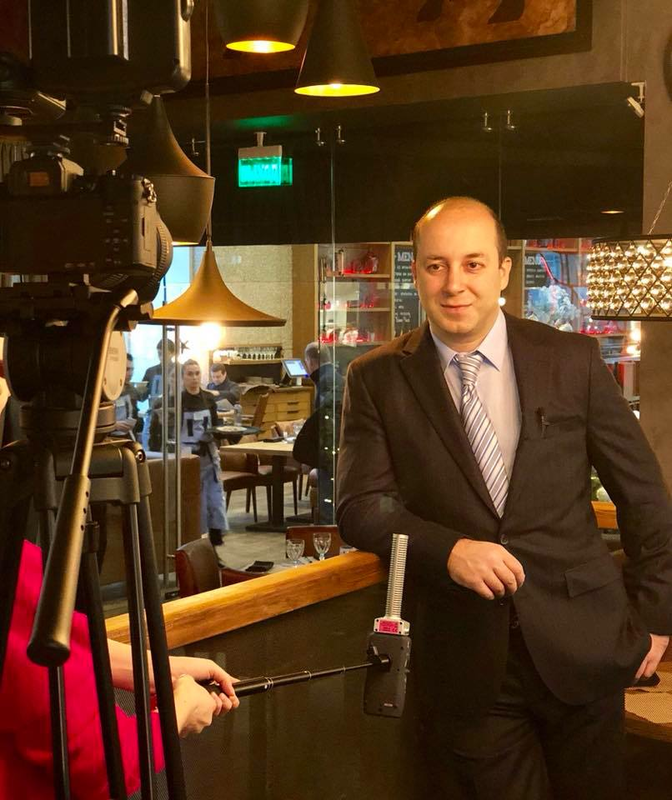 In a TV interview, Mironov explained that most of the Russian restaurant owners, as well as other businessmen, are living with the ongoing terror of being punished or even closed. All Russian regulations for work permits, as well as fire and sanitary regulations, are so complicated that only top specialists can understand them and fulfill them. An inspector always can find something wrong with a restaurant and close it if he is not bribed properly. Extremely experienced Mironov keeps on salary a top law and fire and sanitary regulations specialists. He can afford it thanks to the huge success of his restaurants. This way no policeman or inspector is able to demand a bribe from him. Mironov gives an important message to Russians: following the law turns out to be the best way to fight corruption.